over 100 hours of instruction, insight and FasterEFT-Eutaptics style tapping. And all that means a happier YOU. Hurry Click on the Link Below. 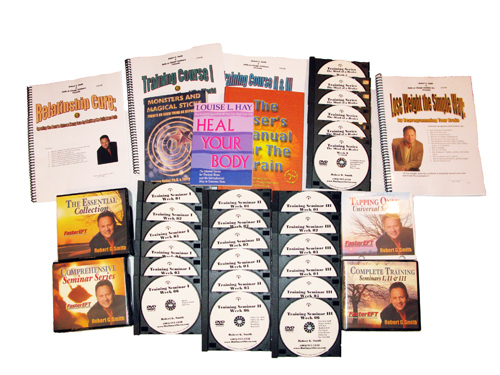 94 DVDs, 2 Audio CDs, 1 DATA DVD with MP3s of this Powerful Training with over 100 hours of instruction, insight and FasterEFT-style tapping. Skills to Change Institute Inc. Are Currently Training would be Practitioners all across the Globe in FasterEFT which is a Self Empowering Process that gives the individual the ability to improve their health, to achieve their hearts desire and to be happy. Becoming a Practitioner for Faster EFT can be very rewarding not just for You, but for all those around you such as family, friends and loved ones and also for the wider Community in your area and even world wide. Although FasterEFT-Eutaptics is free by watching the videos by Robert Smith and his eft , there are also those that need personal One on One sessions whether face to face or through other mediums such as Skype, Yahoo or MSN. Gain invaluable skills to help others make peace with their past in less time. Teach them to take control and live the life of their dreams! This is one of the most direct and simple but profound methods of healing out there. It has been proven to outperform years of therapy and other modalities. This is not just another healing modality. It gets to the point and helps people make changes fast! 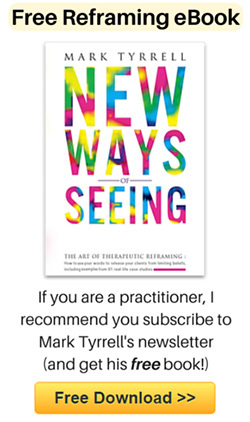 It also empowers people to continue the work on their own and not be dependent on therapists or practitioners to take responsibility for their own healing. This is what most are looking for. Search no more. Do the research and watch free videos online and see for yourself. Learn how to release and let go of past traumas and limiting beliefs that hold you back from the life you want. FasterEFT addresses the core of these issues and does them fast! Robert Smith says, “The biggest differences between EFT and Faster-EFT is the complete understandings of how we have problems, how to make the changes in 1/5 the time as Classic EFT and being a more complete process which ends the dreaded PR problem which really doesn’t exist in Faster EFT. 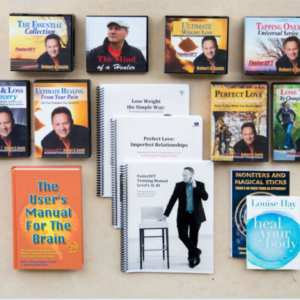 "In Faster EFT Practitioners Training You will save £620 ($1000) or more by starting with my system because you will be coming back here for really powerful skills. 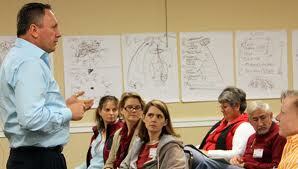 This is the NEW EFT (Emotionally Focused Transformations) that makes a BIG difference”. 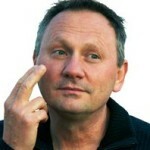 "As a Master NLP Practitioner and Clinical Hypnotherapist, I have used standard EFT on myself as well as on my clients. Now, I’m using FasterEFT, and having BIG TIME results – I’ll NEVER go back to the old way! DocWriter"
sign up for His 7 Course Modules in the 7 Day Quickstart Course - Free! Treatment for what Waleska? 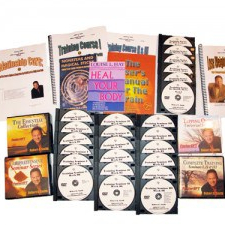 There are hundreds of free video’s on Robert Smith’s Youtube channel “HealingMagic” Alternatively you can visit Roberts product page here http://fastereft.com/. Peace.